With more than 45 agri-commodities in our portfolio, we supply food, ingredients and natural raw materials, such as cotton and rubber, to customers around the world. We offer more than 45 agri-commodity products including almonds, cocoa, coffee, grains, hazelnuts, palm oil, rice, rubber, specialty vegetables, and spices. Our highly diversified and broad product portfolio in both the Northern and Southern hemispheres, combined with integrated end-to-end capabilities across the supply chain, reduces risk and provides reliability in supply all year round for our customers. Our roots lie in our supply chain business, where we source crops from an estimated 4.7 million farmers. This is supported by our own plantations, concessions and farms for products such as coffee, dairy, palm oil, peanuts, rice, rubber and wood products. More than 200 processing facilities are strategically located to be close to our customers and to growing regions. 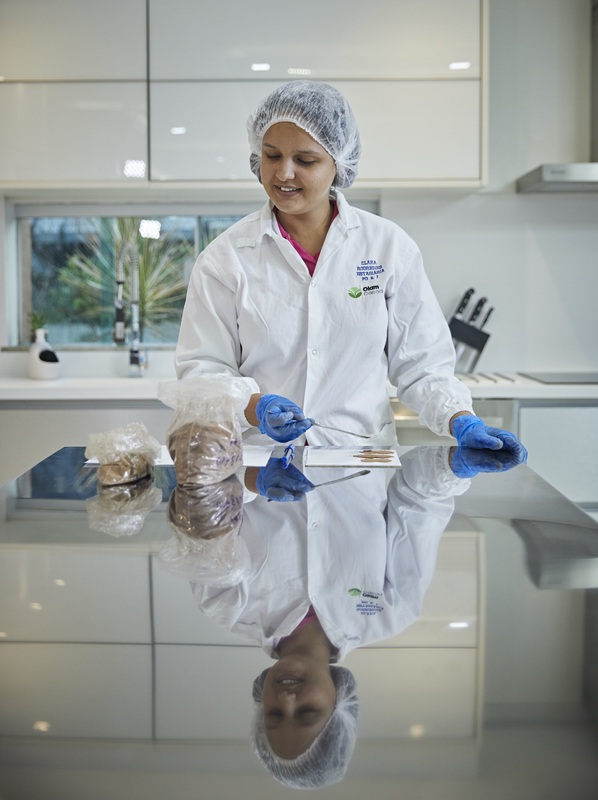 These are supported by quality and innovation centres for food safety, recipe R&D and regulatory expertise. 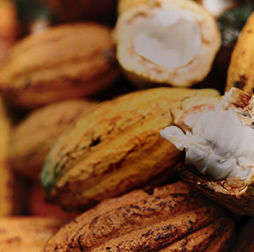 Olam Cocoa is the world’s foremost focused supplier of cocoa beans and cocoa products. 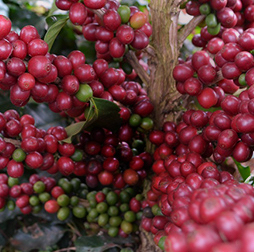 We offer Robusta and Arabica coffees from the world’s main growing regions as well as a range of specialty coffees. Our extensive portfolio of nuts and nut ingredients is unique in the industry. Our superior product expertise, innovation and risk management has enabled us to become the world’s number one source for garlic, onions, and chilies and a global leader for pepper, tropical spices, purees, and parsley. We turn the best tomatoes into delicious finished products such as salsas and sauces. Through our own farms, long-standing relationships with farmers, as well as in-country processing, we can navigate supply demand dynamics for food staples. We originate, process and export cotton, rubber, and wood products, and other industrial materials around Africa, Asia, the Americas, Europe and Australia. “As a leader in many of our products, we remain focused on not only growing responsibly but re-imagining global agri supply chains so they work better for farmers, communities and our planet."